We got the chance to interview Mikael Hautala from Industryhack. Industryhack has arranged several open innovation contests, called “hackathons” in Finland, Estonia and Germany, in both the private and public sectors. The reason why clients pursue challenge-driven innovation using hackathons is that they want a more innovative procurement process. Private companies that have used Industryhack’s services include Stora Enso, Airbus and Fortum, and on the public side, Ålands Digitalisation Committee and City of Helsinki. Just what exactly is a “hackathon”? Industryhack uses hackathons as part of innovative procurement process. A hackathon is a collaborative event that typically lasts a few days where clients bring tricky problems that they want solved. During the course of 2-3 days, teams from different vendors (normally 3-6) compete to develop the best solution to the problem. Out of the best solutions, typically 1 or 2 vendors will be selected to develop a pilot during the course of a few months. After the pilot phase, the final solution is procured. What are the key benefits of procuring using hackathons? you are looking for innovative ways to accomplish something. you have the vision but lack the expertise and resources to exploit strategic opportunities. 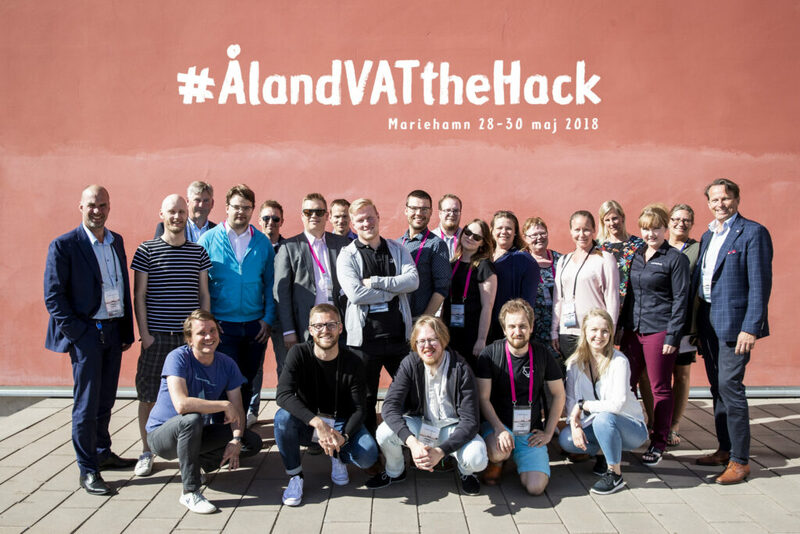 Hackathons are a quick and effective way to source small but innovative companies with the right skills and attitude who wouldn’t normally appear on your radar using traditional procurement techniques. How about the vendors’ perspective? What are the key benefits for vendors? For the public sector, it’s a way to spend taxpayers’ money more wisely since you get to try out several parallel solutions quickly and then scale the ones that actually work in the second phase. You can see the appeal here in contrast to launching one big IT project, only to find out later down the road that it was way harder than you thought. 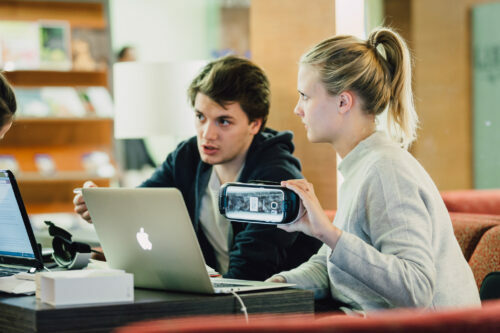 Hackathons enables small, innovative and often young companies to compete with larger companies on a more level playing field where you are being judged by the quality of your solution rather than the amount of resources you can throw at a problem. In the traditional procurement process, if you have started a fairly new company, even if you are a seasoned expert in your field, you are very likely to get filtered out right off the bat. The usual standard requirement that “the company has to have had a balance sheet that is 3 years old” would instantly disqualify you. Another key benefit for vendors is that they can spend time with the actual decision makers of the clients to really grasp what they are looking for. The remaining feedback we normally get is that the process is smooth and simple. 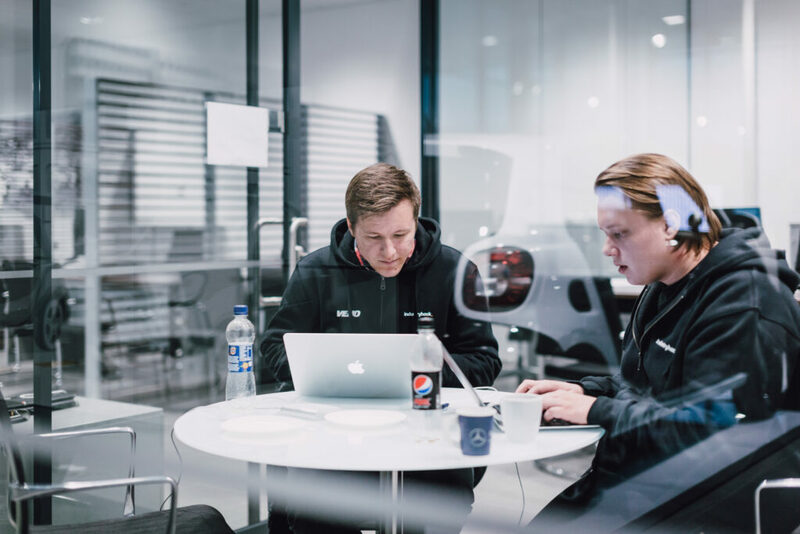 We at Industryhack make sure that all the logistics and the practical arrangements (hotel, venue, food, setup) are taken care of, which means that the vendor teams can focus 100% on the problems at hand. What are the preparations required from the vendors? We share the challenge and based on this vendors send an application to the hackathon. Based on the applications, the best teams are selected for the first phase of the procurement. Our goal is to have innovative teams for the challenge. This means we select the vendors based on a few parameters, examples here are references from previous innovative solutions or if the teams composition is versatile. Do vendors get paid for participating? Yes. As a vendor, you participate with your expertise and your time which are valuable. All teams that are selected to participate in the contest get a basic payment for their participation to make it worth their while. The winning teams (that move on to the pilot phase) of course win the contract for that phase and get paid to build a proof of concept. What is the most unexpected solution you’ve seen from the hackathons? There’s been plenty of both good and unexpected solutions. But there’s one in particular that stood out for me. 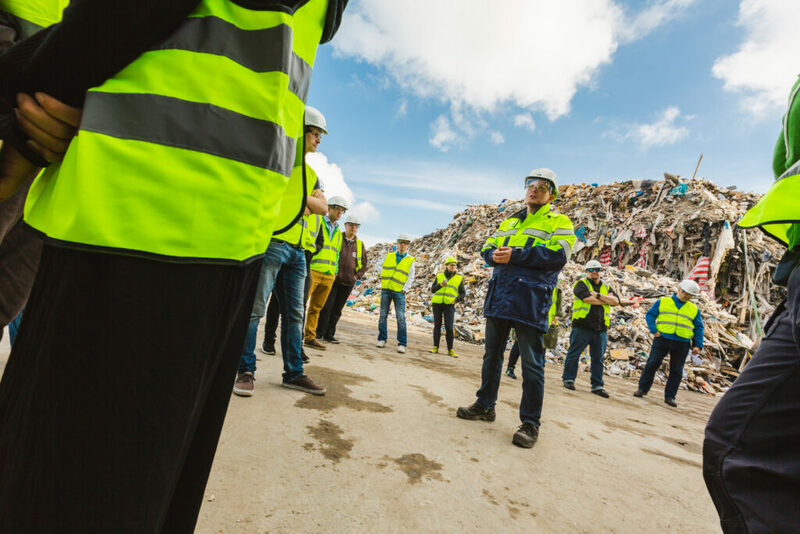 We were working with a company that was dealing with recycling, who stored big piles of woodchips. The piles are quite big, up to 12m tall and are stored outdoors. The problem is that when it rains, the woodchips get wet, and when they dry out, the pile is usually still damp in the middle and it gets moldy. This compromises efficiency when the woodchips are turned into electricity. So the challenge was, how can this problem be solved? One company showed up at the hackathon with a big book on mushrooms including a small sample of mushrooms from the US that feed on mold. They placed moldy woodchips inside a plastic bag with some of the mushrooms and voilà, the mushrooms turned the moldy woodchips into a sort of recycled leathery material! This leathery material could then be collected and used in the garment industry. That to me was a pretty cool solution and one I definitely wouldn’t have come up with myself :). In your mind, what would be a typical challenge that fits well with challenged-driven innovation? I pick one example from the public sector, a typical digitalization challenge that fits well is “how can we best use shared data”? If I want to try out a hackathon as a client, how would I go about it? You can follow the basic process outlined in the beginning, or of course use us to help you out. The value we bring besides the practical arrangements, is our access to a community of innovative companies which we can invite as participants for the hackathons. Great stuff! Hope to see more of those in Sweden soon! Välkommen till det första nätverksmötet för 2019! Copyright © 2019 Effektstyrd Upphandling med Agila Kontrakt. All Rights Reserved. Designed by bavotasan.com.